One Thimble Issue 8 is finally releasing later today and I’ve been excited to share some of the goodness inside! 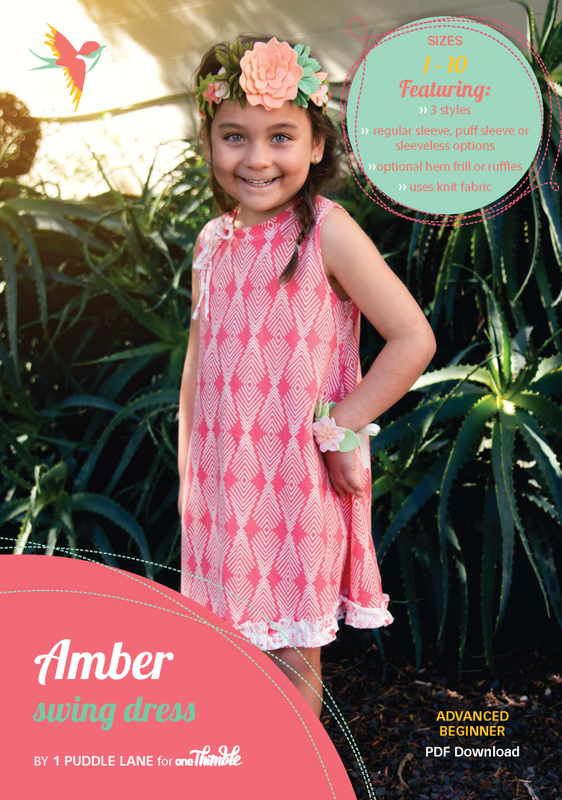 I’m an affiliate of One Thimble (which means if you click over from the links in this post and purchase something, Call Ajaire will get a small percentage) and I was given the Amber Swing Dress to review, but behind the scenes I’ve seen the other patterns and articles and I can tell you that this issue is not to miss. With 12 pdf patterns and 25 articles/tutorials/interviews, the e-zine is worth well over $100, but of course is offered at a fraction of that! 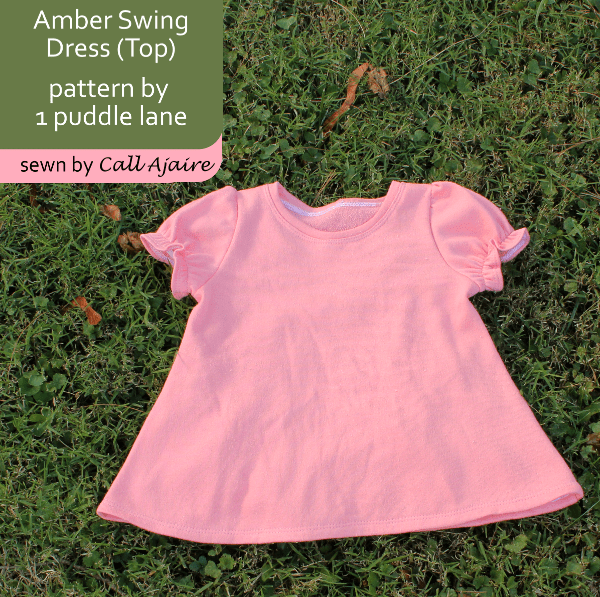 The Amber Swing Dress by 1 Puddle Lane was used for the cover photo and there’s no question why. It’s a super cute breezy style that is perfect for summer and the desert-inspired feel of Issue 8. 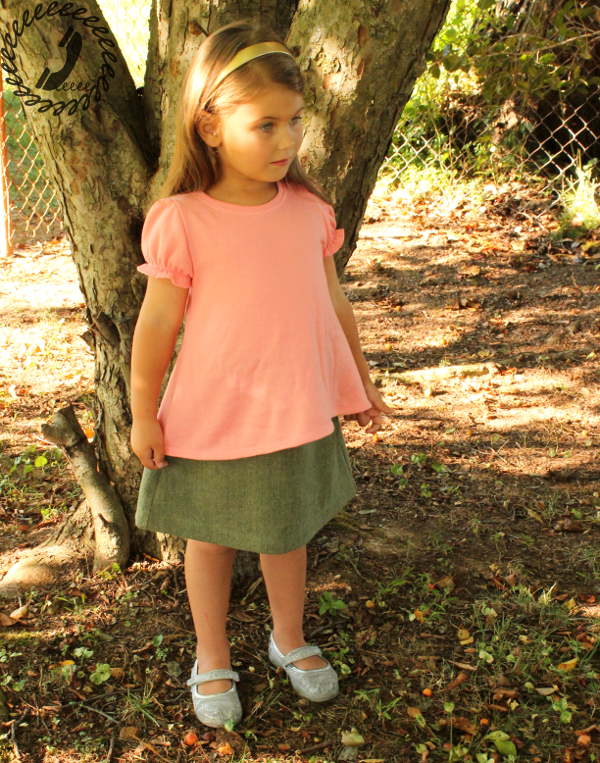 Admittedly I’m in back to school sewing mode, so though I originally wanted to sew up a dress version of the Amber Swing Dress, when I took inventory of Bean’s clothing I realized she doesn’t need another warm weather dress right now. So I shortened it to tunic length and made the CUTEST little basic top. View C has my favorite type of gathered sleeve so I knew I wanted to make that version. 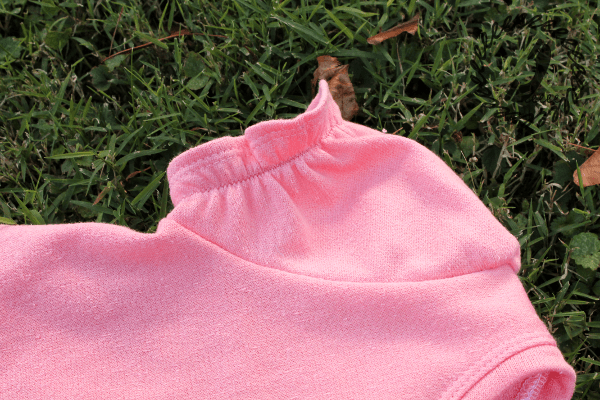 It adds a little girly flare to the top and I love how sweet it looks. The gathers at the lower edge of the sleeve are made with 1/4″ elastic sewn to the wrong side which is my favorite way to gather knits. It makes for beautifully even little gathers without all of the effort of basting. The original dress has cute ruffles that are designed to go along the hem and/or the sleeve hems, but I opted to leave them off since I wanted this to be a simple school-wear top. 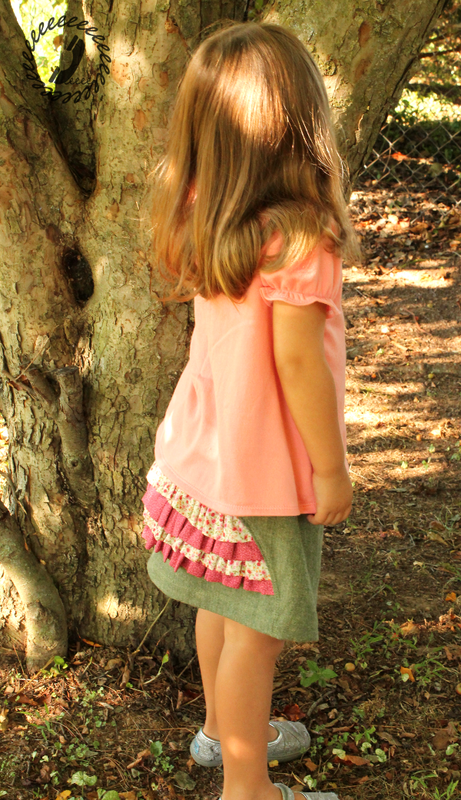 Bean’s wearing it here with a Ruffle Arch Skirt (sneak peek of my newest pattern, releasing next week!) 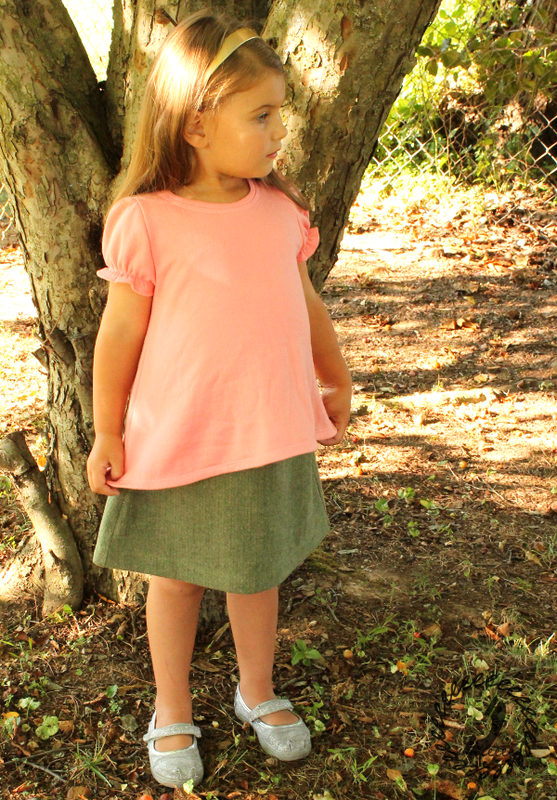 and the shape of the top looks great with the flare of the skirt. This Amber Swing Dress (top) will also look great with leggings or jeggings as a tunic. I’m starting to get really excited about autumn sewing! As I mentioned before, there is a ton a great stuff packed into Issue 8 of One Thimble and I wanted to mention one that I haven’t sewn yet, but is high on my list. This Oasis Quilt pattern by Sew Today is gorgeous. Bean is getting a full size bed next month and I think this will be the base for the quilt I make for her. Imagine those diamonds in shades of purples? Anyway, today is just the first day of the release tour so be sure to visit the rest of the blogs on the list below. There’s also a giveaway where you can win a copy of One Thimble Issue 8 and if you’ve bought it already and win, then you will get a refund. So why wait to buy?